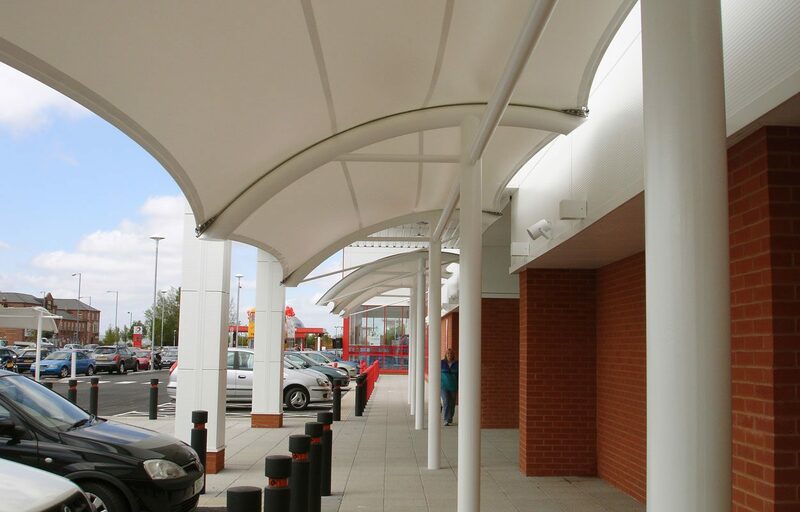 Cantilevered tensile fabric walkways fabricated for Junction Retail Park. 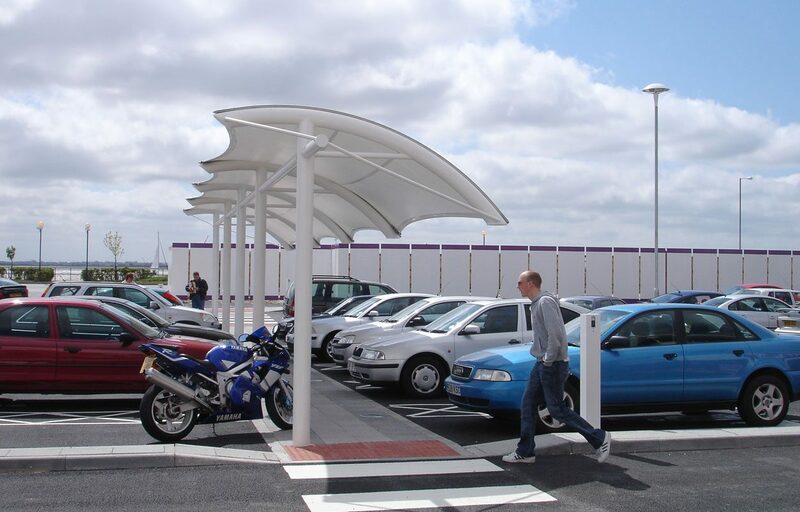 A series of cantilevered tensile fabric walkways keep customers undercover at Junction Retail Park. Fire retardant 702 PVC fabric is used for the roof covering and is 100% waterproof, highly durable and offers high UV protection. The traditional structure is CE marked which attests the verification by Fordingbridge that these products meet EU safety, health or environmental requirements.